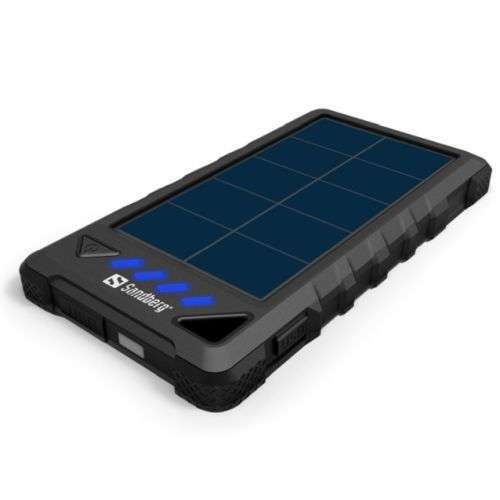 Sandberg Outdoor Solar Powerbank 8000 is a portable battery which is charged via a USB port or the built-in solar cells. With a fully charged Outdoor Solar Powerbank in your bag, you can ensure that you will always be able to charge your devices anywhere anytime – without having to depend on a power socket. You get up to 3 charging cycles for a typical smartphone and with its solid and rain proof packaging it keeps going even under harsh conditions. It can charge up to two devices simultaneously. Look forward to a future without dead batteries!